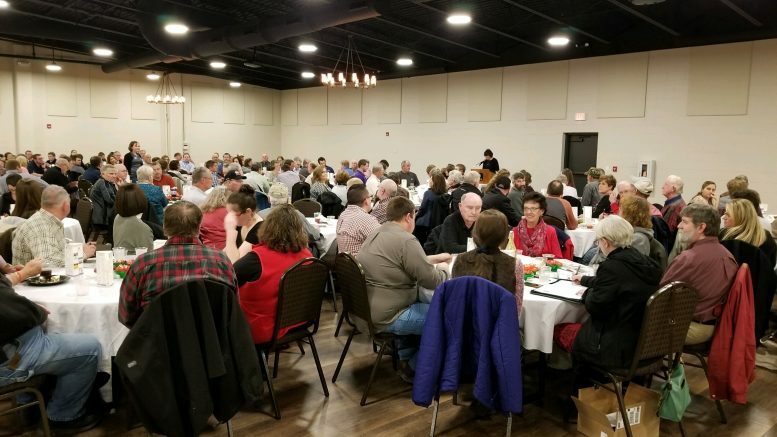 The Dubois County Soil and Water Conservation District held their annual meeting earlier this week and featured a key note address by Bruce Kettler. Kettler is the director of the Indiana Department of Agriculture. We spoke with Kettler and he describes the importance of Dubois County to agriculture in Indiana. The Soil and Water Conservation District promotes to all citizens, both agricultural and non-agricultural, the vital benefits of protecting and preserving of all natural resources. For more information about Soil and Water Conservation Cistricts, contact your local district office. Be the first to comment on "Kettler Talks Soil And Water at Dubois County Soil and Water Annual Meeting"